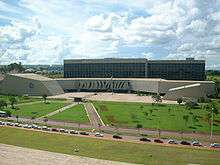 The seat of the federal government is located in Brasília. 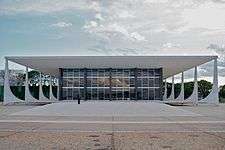 This has led to "Brasília" commonly being used as a metonym for the federal government of Brazil. 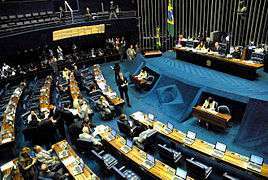 Brazil is a federal presidential constitutional republic, based on representative democracy. The federal government has three independent branches: executive, legislative, and judicial. Currently 15 political parties are represented in Congress. Since it is common for politicians to switch parties, the proportion of congressional seats held by particular parties changes regularly. To avoid that, the Supreme Federal Court ruled in 2007 that the term belongs to the parties, and not to the representatives. 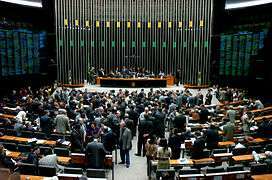 There are special federal court systems for labor litigations, called Labor Justice (Justiça do Trabalho), for electoral matters, called Electoral Justice (Justiça Eleitoral), and for martial criminal cases, called Military Justice (Justiça Militar), each of them with its own courts. 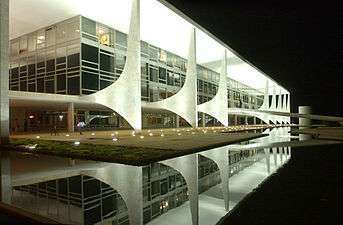 The STF grants Extraordinary Appeals (Recurso Extraordinário) when judgements of second instance courts violate the constitution. The STF is the last instance for the writ of habeas corpus and for reviews of judgments from the STJ.